Small Businesses make up 50% of businesses and employ more than 98% of the workforce in America. Being that small businesses play such an important role in the American economy, typically what affects the economy will affect the small business owner. In the wake of large businesses financial scandals that are changing the way the government and regulatory agencies mandate new regulations, one would think what are the consequences if small businesses fall prey to similar scandals. The small business owner must take these issues into consideration for accurate financial reporting is not only a “Big Business” problem. 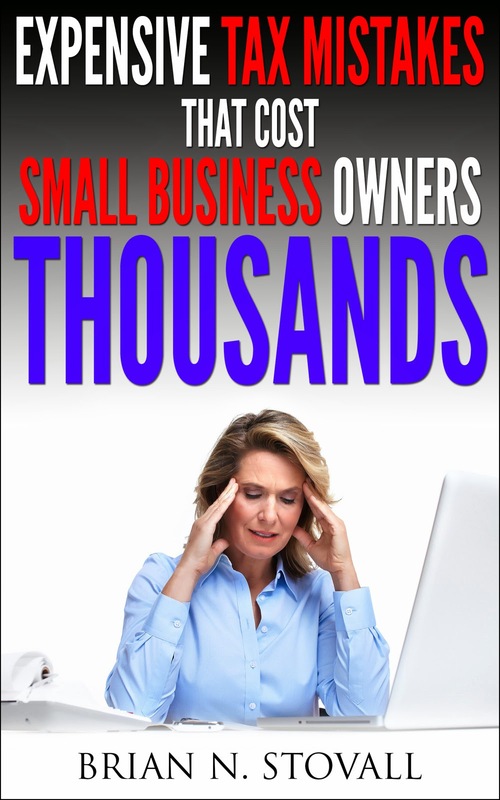 When a small business owner tries to tackle the financial problem alone, they are usually too caught up in the activities of bringing in new business to take any time out to “look over the books” or balance the checkbook. It is also difficult for the small business owner to stay current on all the new changes in the tax law that may affect their business. Despite all the government talks of tax simplification Congress has made more than 5000 changes in the federal tax law since 1986. Many of these changes resulted in new tax forms and instructions. The simple 1040 form with instructions is 107 pages. Small business owner must take into account these issues to ensure a solid future. Typically a small business owner may attempt to alleviate the problem by purchasing an easy-to use software program to in a sense “do the work for them”. This attempt usually only puts the small business owner back into the same loop of trying to bring in new business at the same time managing day-to-day activities. The time training on the software and entering the data alone could be spent on revenue producing activities which is why often time a small business needs the assistance of a financial consultant to understand the in’s and out’s of financial record keeping. · Have better insight as to where it is going- By utilizing accurate reports for decision-making. By partnering with a financial consultant, a small business will be able to uncover potential tax saving they can apply throughout the year instead of only at tax time. A financial consultant will have the time and access to various tax information sources that will provide the business owner with relevant information and concepts to apply to virtually any small business tax situation. Cash is the life-blood of any business especially a small business. Without cash the business will suffer and will possibly be forced to cease operations. By partnering with a financial consultant a small business’ cash flow position can be improved. The consultant can provide the small business owner with the numbers beyond just the bank balances so cash and/or financing needs can be addressed efficiently and effectively. Many small businesses operate under a blindfold when it comes to planning for the future. By allowing a financial consultant to handle the tasks the small business owner will have a better grasp on where they are and where they plan to go. By focusing on journal entries, and various other financial reports the financial consultant can “forecast” potential business scenarios before they occur. This will empower the business owner will the necessary information they need to stay in line with their strategic vision. By investing in a financial consultant a small business can improve its tax planning, effectively manage their cash flow, and improve their management controls. It will also allow the small business owner to spend more time on revenue producing activities. Small business is a contact sport, it is important for the small business owner to make new contacts, maintain their present contacts, and keep in contact with their bottom line. By partnering with a financial consultant, small businesses can continue to be the backbone of the economy. The accounting industry is taking more strides to provide more efficient software for small business owners. Although it has been around for quite some time, Open Source Accounting Software is gaining steam and additional customers from small business owners who are looking for a customizable solution to their accounting and reporting needs. Open source accounting software is software where the underlying code to develop it is shared with partners, Accountants/VAR’s (value added resellers), and end users to make everyone’s life a bit easier. Software developers have full access to the code and can create customized modules for small businesses to improve business operations. Accountants/VAR’s can improve their flexibility, by allowing them to import and export data between various other software systems, and management has the ability to be more efficient through better reporting and decision making. There are some considerations that must be taken before implementing an open source accounting system. Upgrades to the software may be problematic if for some reason the underlying code of the system is altered somehow. This is why, as with any accounting system a small business utilizes that any technological upgrades and updates should be performed by your trusted technology consultant. The market for open source accounting system has been seeing tremendous growth. Recently many Fortune 100 companies have requested open source accounting systems for their operations and some of the major players in the conventional accounting software market have developed tools to assist businesses. Sage Software’s MAS 90/500 accounting packages come with a tool call the “Customizer” that allows users to make changes to better fit their needs. Open source accounting software also make business operations move more efficiently with the addition of programming tools like XML interfaces, object oriented technology, and software integration modules that help businesses increase productivity. OSAS – Open Systems Inc.
Is The IRS Going Paperless?!?! As I read thru the Fall 2005 SSA/IRS Reporter newsletter I can not help but noticed almost every article has something to do with the new initiatives both offices are taking to stay ahead of the technological curve. The main story on the front deals with the new Social Security Number Verification Service (SSVS) that allows employers to go online and match employees with their social security numbers before filing W-2 forms. This provides the company the added benefit of due diligence so that additional processing costs will not be incurred for mistakes. As I read on, another story deals with the new 2006 filing regulations for large corporations (gross assets of 50 million and file 250 returns a year) making it a requirement to file returns electronically. This may be problematic for corporations initially (increased transition costs to conform to the new electronic system), but something corporations must deal with for the 2006 filing. Over time I am sure that corporations will realize better efficiency and scaled economies with the transfer to electronic filing. Another article states that the IRS is now accepting fax signatures on employment tax returns making it easier for businesses to file and submit returns. The SSA follows suit with an article announcing that magnetic tape will not be allowed in tax year 2006 for W-2 filing. All W-2 forms must be filed online via their secure online suite. One of the more interesting articles I thought was the new EFTPS (Electronic Federal Tax Payment System) batch software that is in development. With the new software tax professionals can send up to 1000 enrollments and 5000 payments in one transmission making our lives a bit easier. I can’t wait for that. One thing a small business owner can not wait for is to take a practical look at their business operations and see of there are ways to cut costs by going paperless. From paperless filing, and data storage to paperless engagements for service businesses many paperless options can be purchased at a small cost and implemented quickly. Paperless environments also make your daily operations move more efficiently and effectively. A small investment in technology may make a large impact on the bottom line.